Is there an art historian in the house? Colin Berry did an interesting 3D rendering from the painting "Descent from the Cross with the Holy Shroud" or as it is sometimes called, “The Entombment of Christ” by Giovanni Battista della Rovere (c. 1575-c. 1640). The question must be asked; how much has this painting been enhanced from the original? To what extents did this alter the 3D rendering. To see why we need to question this, look at the copy on the website of the Shroud Museum in Turin (see clickable thumbnails below). 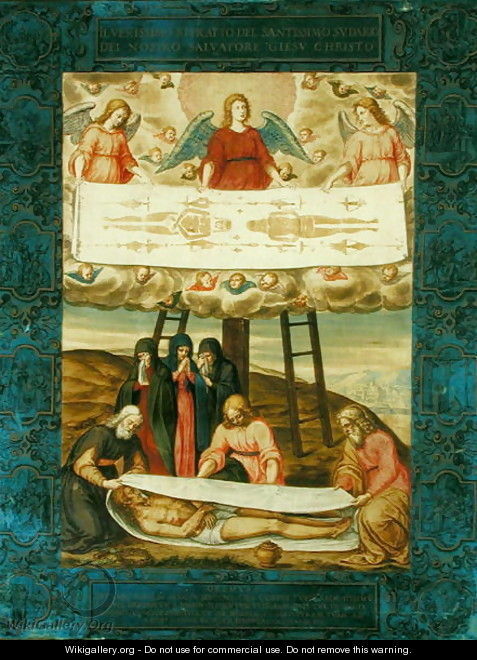 The bigger question may be: how accurate is this popular web version (center below) as a useful indicator of what the shroud looked like in the early 17th century. 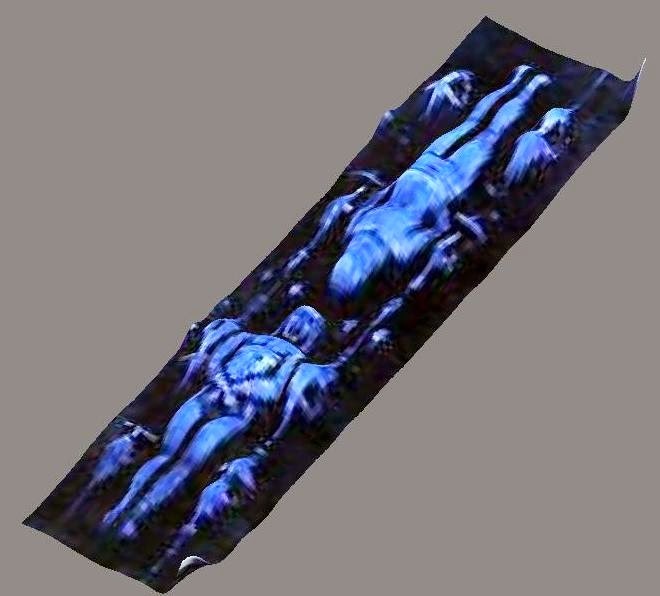 Should we not be using the photograph that is on the Shroud Museum website. 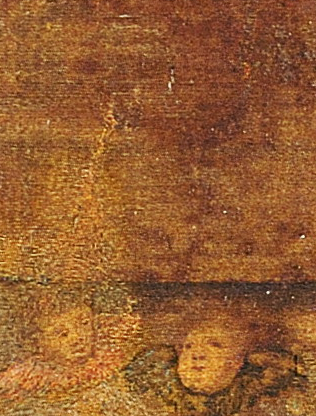 ImageJ Rendering from the Giovanni Battista della Rovere painting shown here in the center. 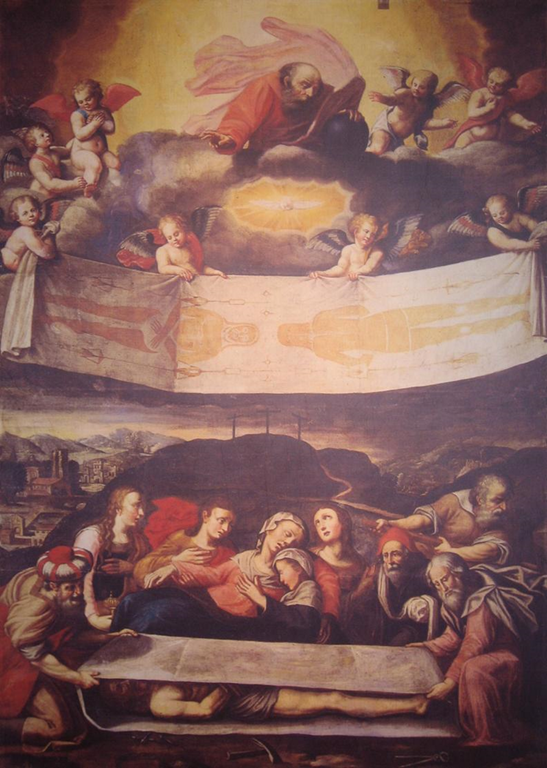 The "Descent from the Cross with the Holy Shroud" or “The Entombment of Christ” by Giovanni Battista della Rovere painted about 1625, as it appears in many websites on the web. As it appears on the website of the Church of the Holy Shroud and the Shroud Museum where the painting is located. As photographed Nov 6, 2008. The web size is 2585×3396 meaning you can have a good close look. Note: Paul Vignon attributed the above painting to Giulio Clovio (1498–1578) and a different painting, shown here on the right, to Giovanni Battista della Rover.